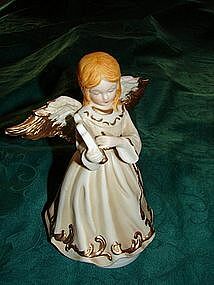 Porcelain angel music box. 8" tall. Plays Silent Night. Made in Taiwan. Mint condition. 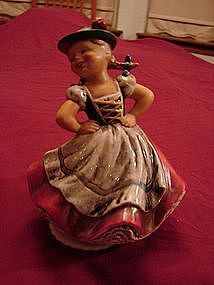 Goebel Music box of dancing German girl. Seven inches tall. Marked Goebel 1967. Serial number FF293. Swiss musical movement. Mint condition and plays music perfect. 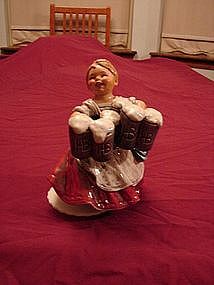 Goebel music box. Seven inches tall. Swiss musical movement. Dated 1972. Serial number 1500116. Mint condition and music box works perfectly. 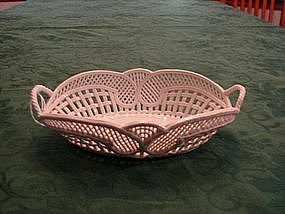 Elegant handmade white porcelain basket. Made in Romania. 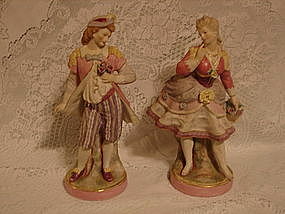 Marked handmade porcelain Made in Romania. Mint condition. 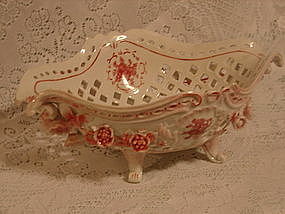 Beautiful hand painted footed porcelain box. 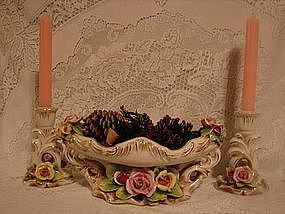 Has picture of pine cones and signed by the artist. I don't know who the artist is. Mint condition. 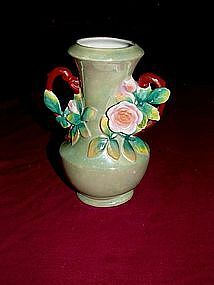 Beautiful Porcelain Bud Vase. Vase is 7" tall x 5" wide. Marked with a circle Y made in Japan. Vase leans slightly to the right. Was like this from manufacturer. Otherwise in mint condition. 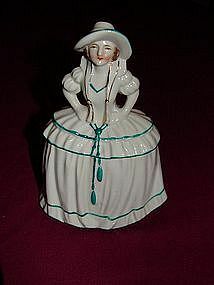 Porcelain box of Victorian Girl. 6" tall x 4" wide. Marked with symbol I don't recognize and made in Japan. Mint condition. 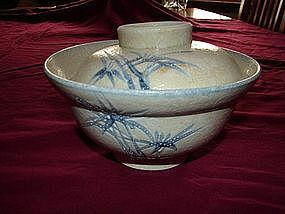 Porceline rice bowl with lid. Bowl is 4" tall x 6" dia. beautiful handpainted bowl. 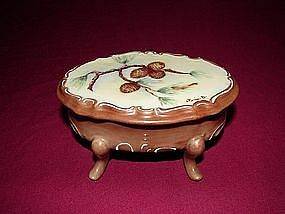 Unique because the bowl is footed and the lid is footed also. The lid can be removed and flipped and becomes smaller bowl. Probably was used to serve rice then the lid was removed for something else to be served on. 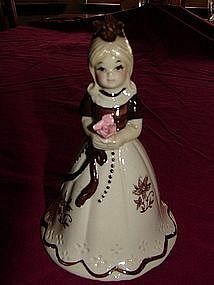 Porcelain doll bell. Marked with a Japan sticker. Good condition. 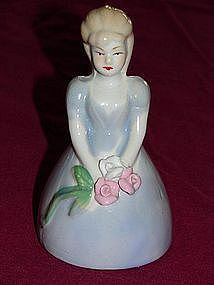 Porcelain Princess Bell. No markings. Nothing special just a cute bell in mint condition.